Honda Accord CL3 | Winter Dream? 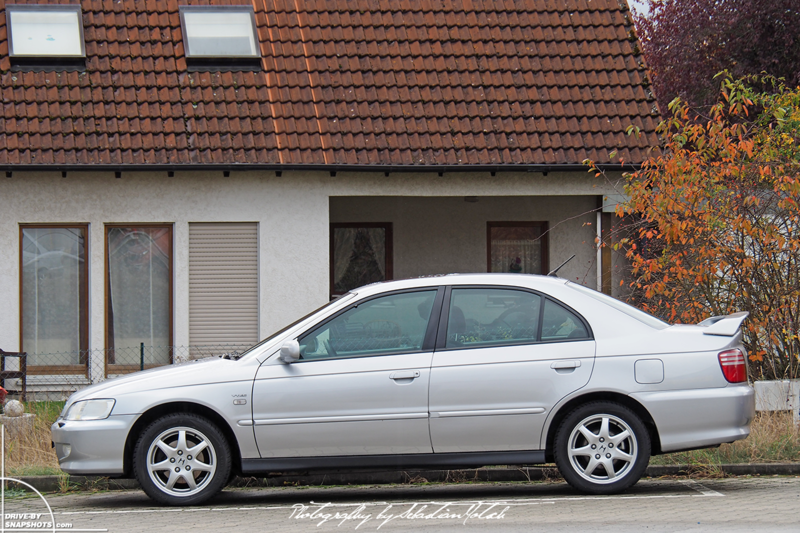 After almost 15 years without a Honda I wanted to try it again and bought a CL3 Accord with the 2.3 VTEC quite cheap from an elderly gentlemen in the Black Forest. So, after many RWD-only winters I drove FWD again. And let me tell you… I was so glad we had only one week of snow in the 2016/17 winter! Front wheel drive is just horrible and takes all the fun out of driving in wintery conditions. Therefore I sold the Accord as soon as the the first flowers blossomed and went back to rear wheel drive cars for good. Never again am I going to buy a winter car that powers the wrong axle. 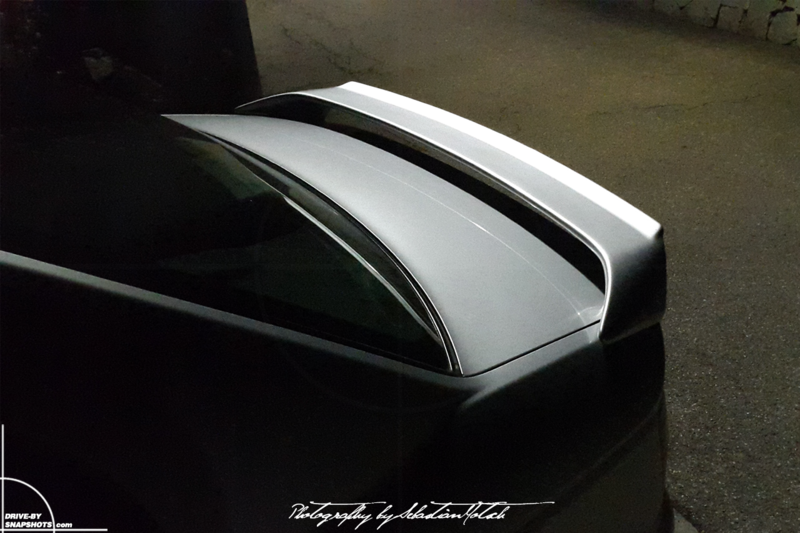 And even though I didn’t do anything to the real car, apart from replacing the fake wood interior trim pieces with fake carbon from a Type-R model, I went creative with Adobe Photoshop and let my mind wander. 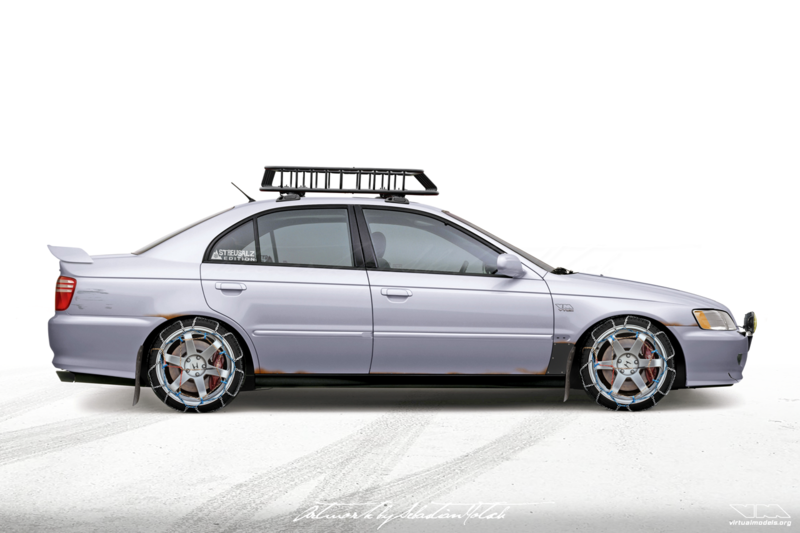 What if the Accord had rear or all wheel drive? It could sure enough be a nice ride for any winter, don’t you think? Modifications could include Rays TE37 wheels (or cheap knock-offs because they would get damaged by the salt anyway), auxiliary driving lights, mudflaps and a roof rack. The reality looked rather bland in comparison, as you can see in the picture below. I didn’t even bother to buy the Streusalz Edition stickers. The Honda was very reliable and never let me down. And to be honest… I absolutely loved the rear wing with the integrated Gurney flap. I love that spoiler! Any informations about it? thanks for your inquiry, but unfortunately I have sold this vehicle a couple of years ago and don’t have any detailed information about it. If I find something I let you know.